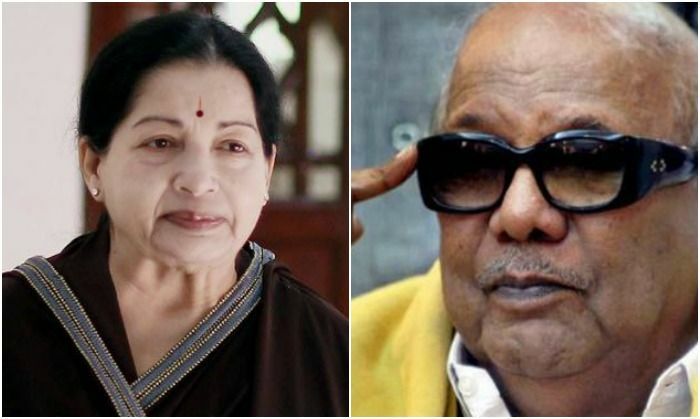 On 23 May, DMK chief M Karunanidhi slammed the newly-elected Chief Minister of Tamil Nadu, J Jayalalitha for insulting the Opposition party at the swearing-in ceremony. Karunanidhi went on to complain about the seating arrangement made for his son MK Stalin who was made to sit on the 16th row despite the party winning 89 seats. On the other hand, All India Samathuva Makkal Katchi leader R Sarathkumar, who lost in this election, was offered a front row seat. PTI quoted the DMK chief as saying, "Stalin, who has the qualification to sit in the Main Opposition (possibly as its Leader) after (DMK) won 89 seats, was given seat among the crowd whereas Sarath Kumar was seated in the front row." "When I see Jayalalithaa, I can sense that she has not reformed a bit, nor will she change in future. Only the Tamil Nadu people should change," Hindustan Times quoted Karunanidhi as saying. Incidentally, it was the first time ever that a member of the Opposition party had attended a swearing-in ceremony of a chief minister in Tamil Nadu.